Reel to reel tape machines were well known in the 70’s and into the 80’s as being a high quality option for recorded audio and music. 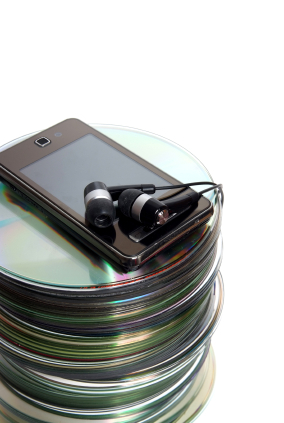 Today digital formats provide a much better option to preserve audio recordings and improve their sound quality. 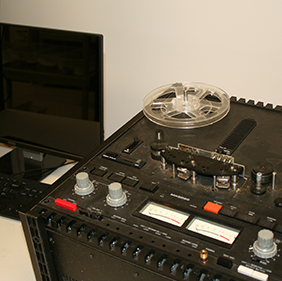 Two Squares, located in Minneapolis, MN, can convert your Audio Tape Reel to Reel to CD or other Digital Audio Formats. 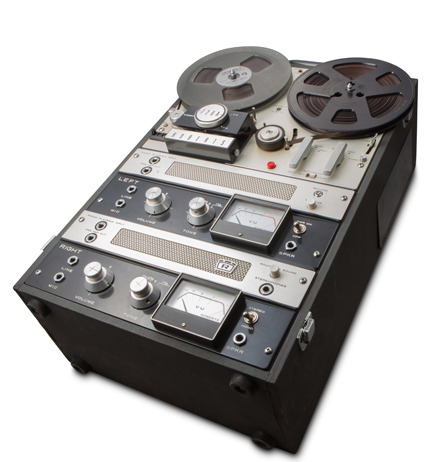 We have a comprehensive reel to reel transfer process to help keep your important audio data safe for years to come. Most reel to reel machines would use 7 inch or 10 inch reels of 1/4” magnetic tape and operate at speeds of 7.5 or 3.75 inches per second, but some higher end machines would also run at 15 inches per second. Two Squares uses professional studio grade reel to reel equipment that will play back all these modes and we professionally maintain and tune our equipment to ensure the highest quality capture possible. 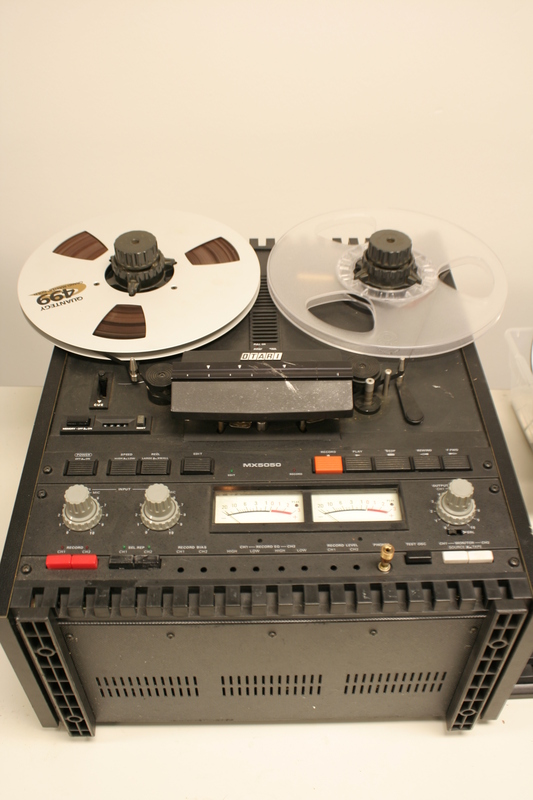 Reel to reel tape, audio cassette tapes, and other forms of magnetic tape degrade over time. The tape will curl and stick onto itself as it spools off the reels causing hiss, pops, warbles and other unwanted noises in the playback. It is best to rejuvenate the tape before digitization to maximize the sound quality. 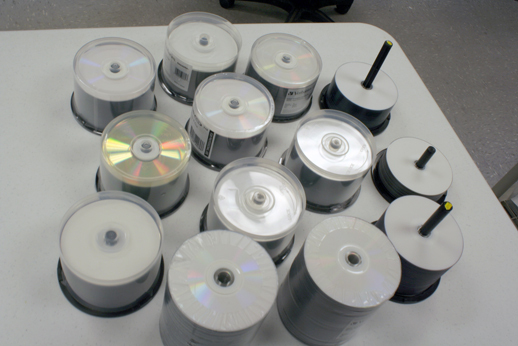 The Two Squares magnetic tape rejuvenation process will significantly improve many older tape reels to ensure the best quality digitization possible. A moist tape can lead to “sticky shed syndrome” and the process Two Squares uses to eliminate the problem prior to conversion is a specialized process of baking the tapes. To learn more about this, click HERE. The design and manufacturing of quality reel to reel machines are a thing of the past. The best quality decks were made in the 80’s and can be hard to come by these days. If you happen to have one still in storage, it would likely need some work to make it sound like new again. Magnetic heads need to be properly maintained and drive belts will stretch out on older decks which cause a variety of issues. Using your computer’s line inputs on your sound card or motherboard sound interface for audio capture can affect quality as well. Computers have a lot of “electronic noise” from switching circuits and fans that will bleed into your capture that will cause unwanted noise and hiss. Even for a non-audiophile listener, this can be a very noticeable. The best quality comes from properly grounded, external (from the computer) studio grade digital conversion devices. Two squares uses only studio grade audio equipment from companies such as Tascam, Otari, and Harmon Kardon. Our equipment is also professionally maintained and tuned to ensure the best digitization quality possible. The next step in producing a quality conversion/transfer of your digitized reel is in the post processing. There are many cheap software programs available that claim to improve the quality of you digital recording by removing pops and hisses. But when it comes to purchasing post processing software, you definitely get what you pay for. Cheap and free programs will remove some of the noises that you want removed, but will also remove noises, features and quality of the music that you don’t want and actually make your recording sound worse than the unprocessed recording. Two Squares has the experience and professional grade software tools to provide you with the best possible conversion. Two Squares can convert the audio from a reel-to-reel tape to a set of MP3 files which can be copied to an iPod, iPhone, Android, computer, or an external hard drive, or flash drive.